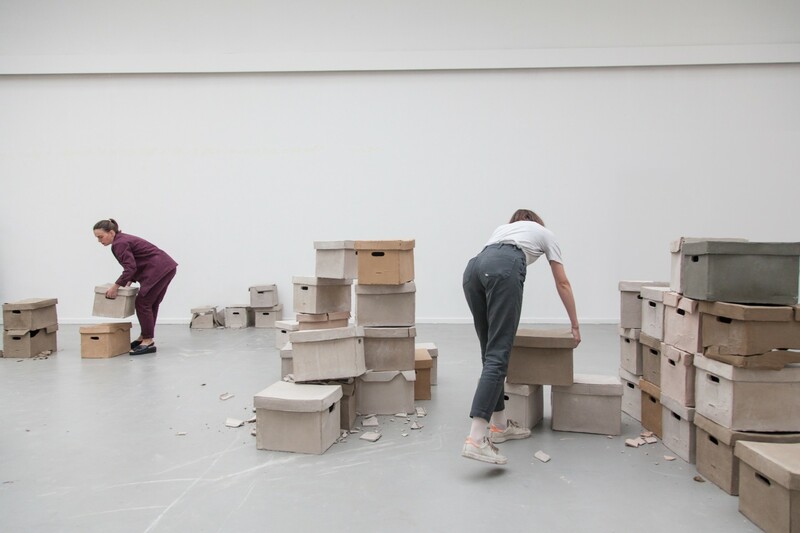 Dust to *dust is the final chapter of a long-term project The Sky is on the Earth, a series of interventions with the inherited archive of Jacques Bourlanges, author of an intriguing esoteric theory of a correlation between star constellations and French geography. 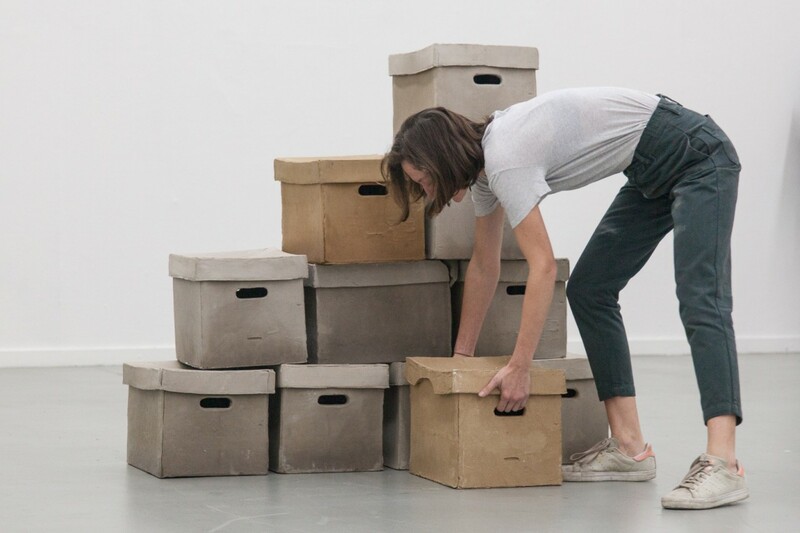 After working with this rich material for four years, we completed the project with a last gesture of « letting go » of the archive. 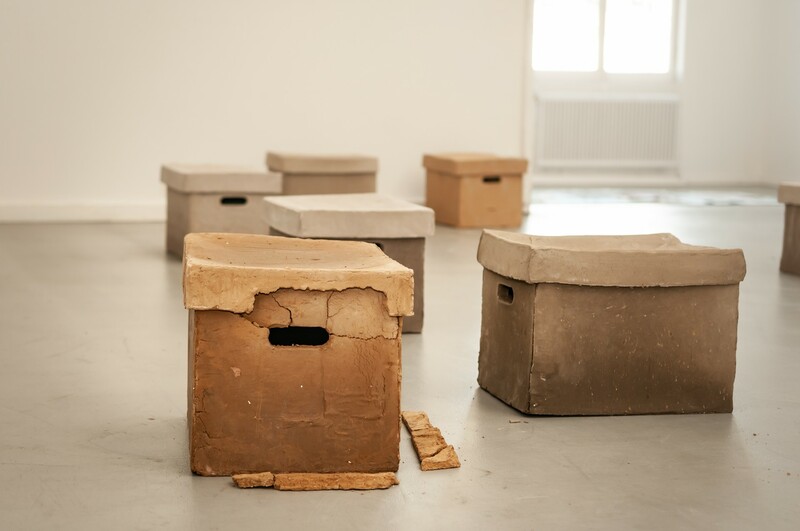 To do so we reproduced the specific archive box of the French Archive Nationale in which we received the research and archive of Jacques : 24 boxes were stored in oblivion since 1991 in a military base near Paris where my father worked as an architect. 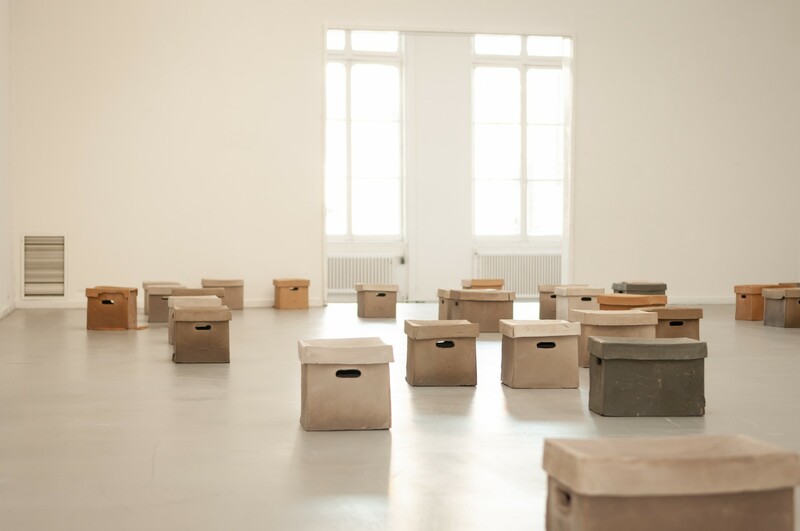 As we learned in our process, only files worthy of Archive Nationale status could ever be archived in those specific AN labeled boxes, but ironically the practility of a military archivist gave the research of Jacques Bourlanges an unintended post-mortem prestige. 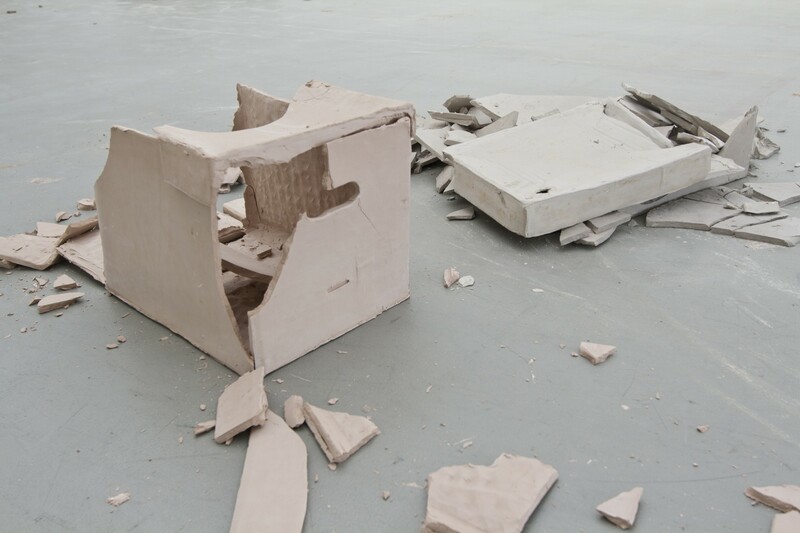 We produced 64 replicas out of unfired different clay that bear different tones of earth and cracks. 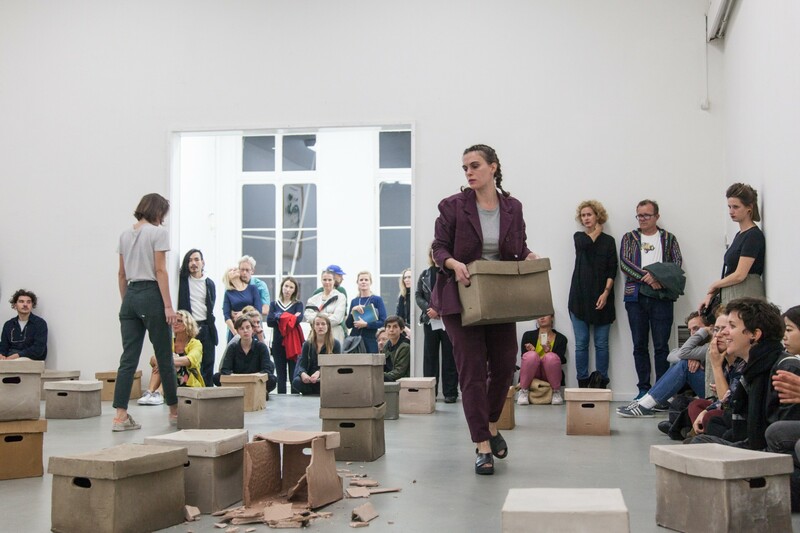 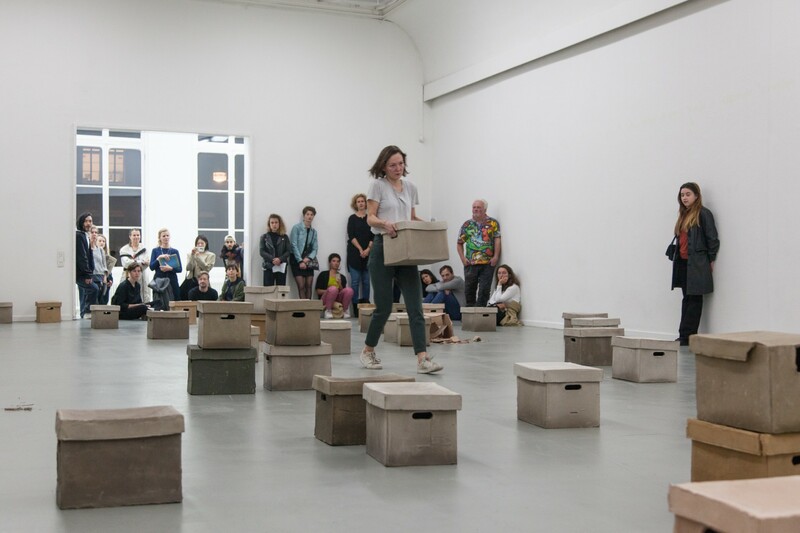 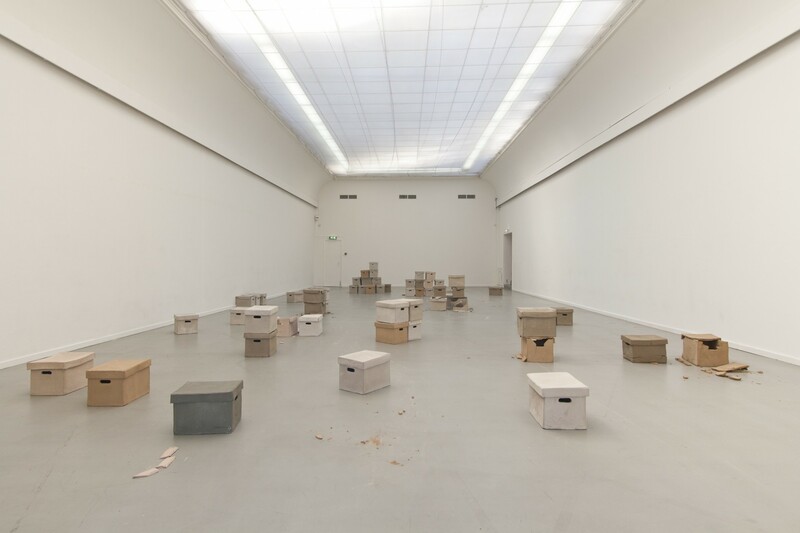 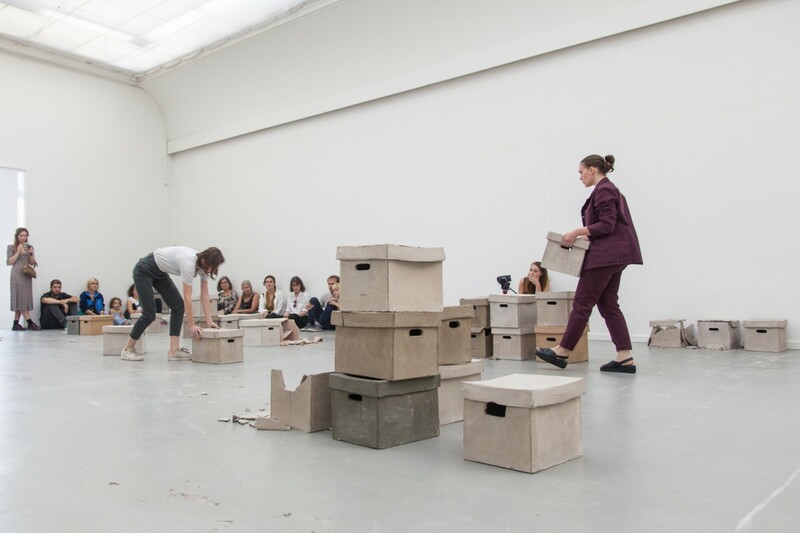 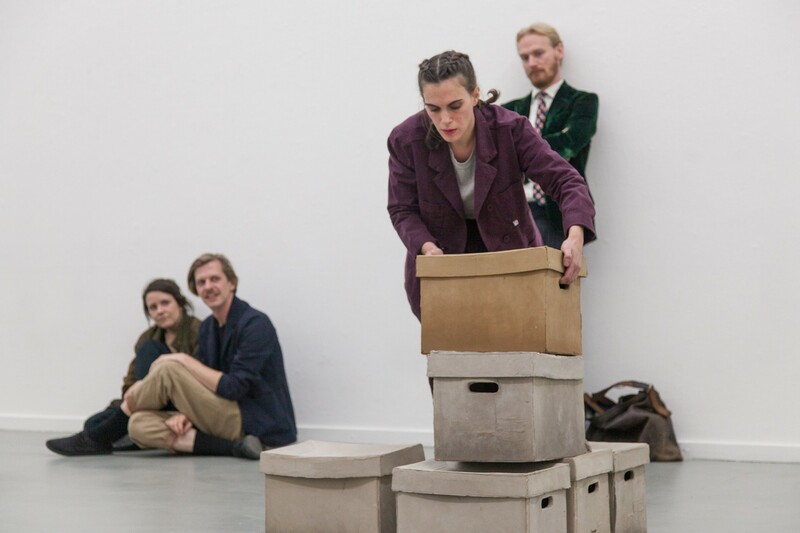 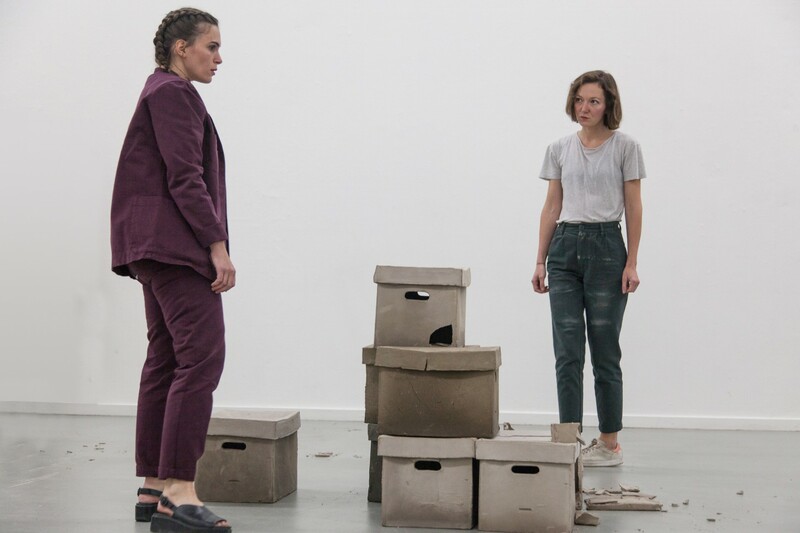 Those boxes are the main protagonists in a 3-part performance we perform ourselves. 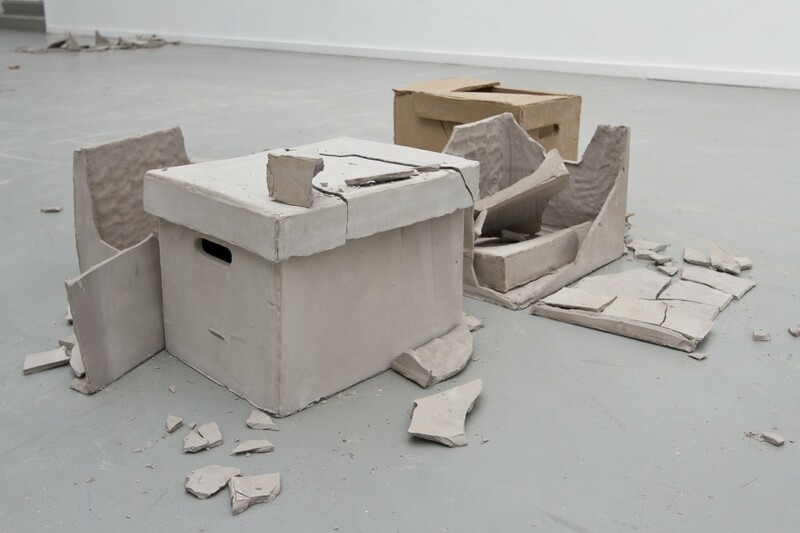 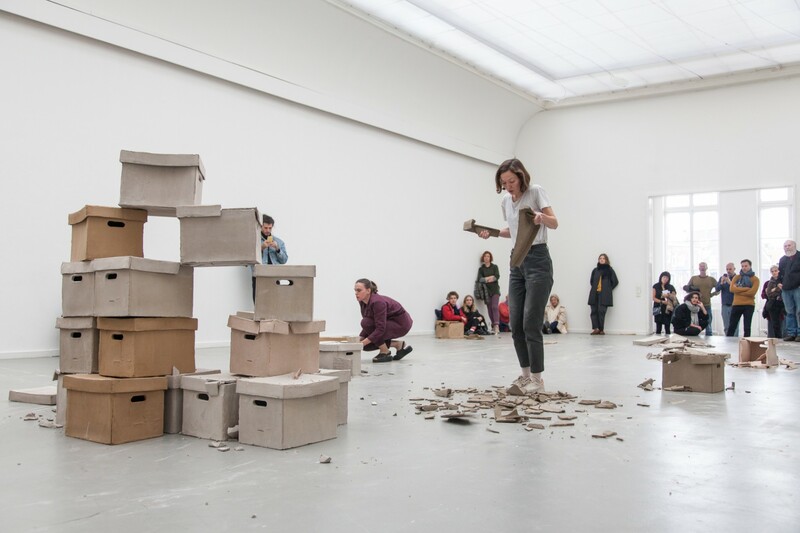 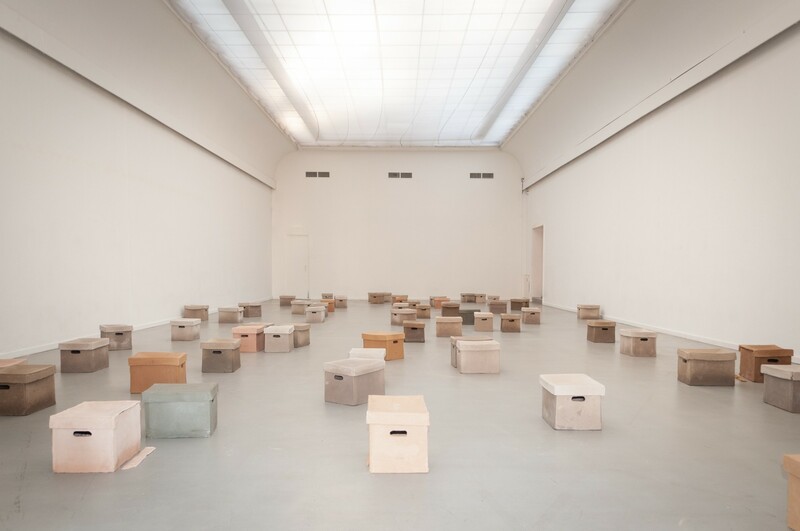 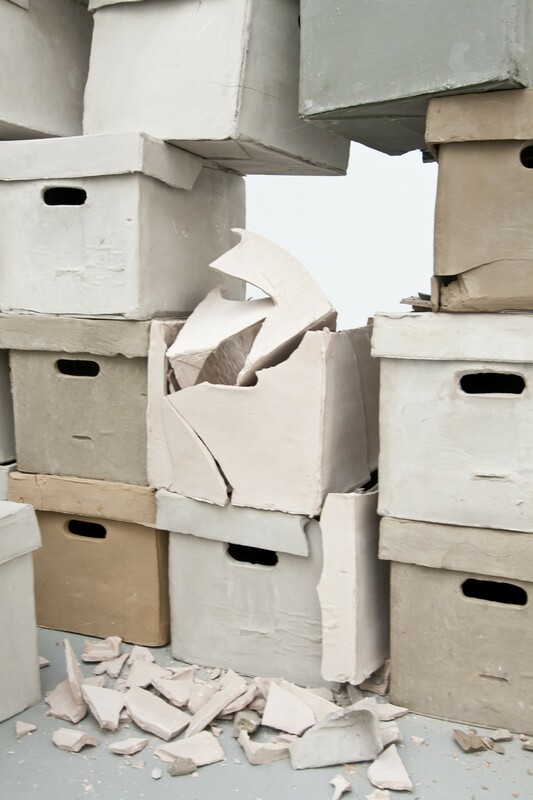 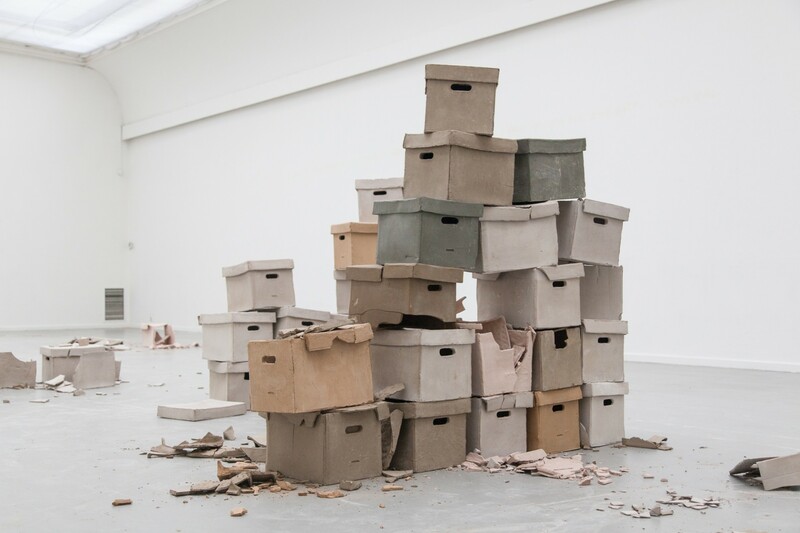 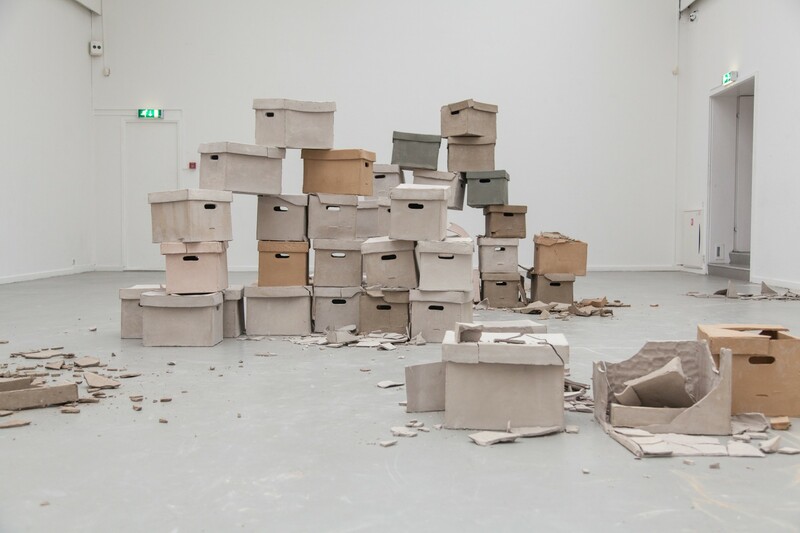 We move the boxes in space, stack them, unstack them, push and pull: they resist and retain their integrity or break down and return to their original form of dust, earth and landscape. 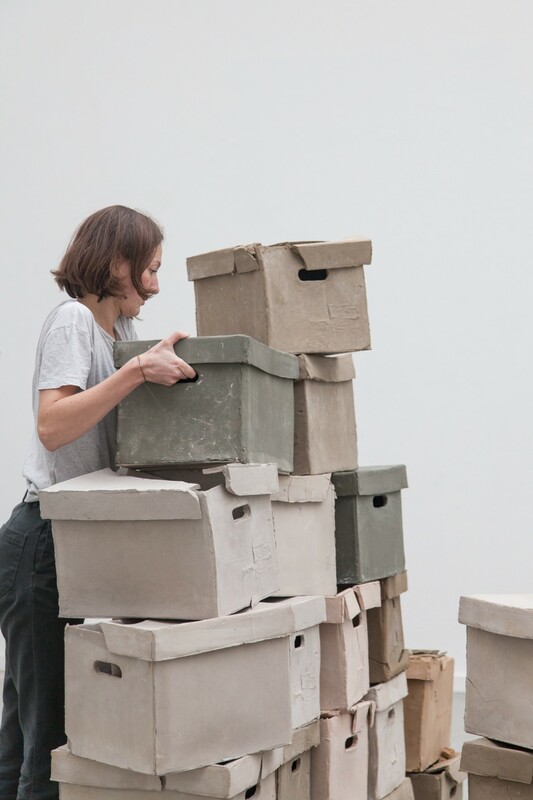 From monumental to intimate installations, our work explores the paradox between transformation and its inherent loss. 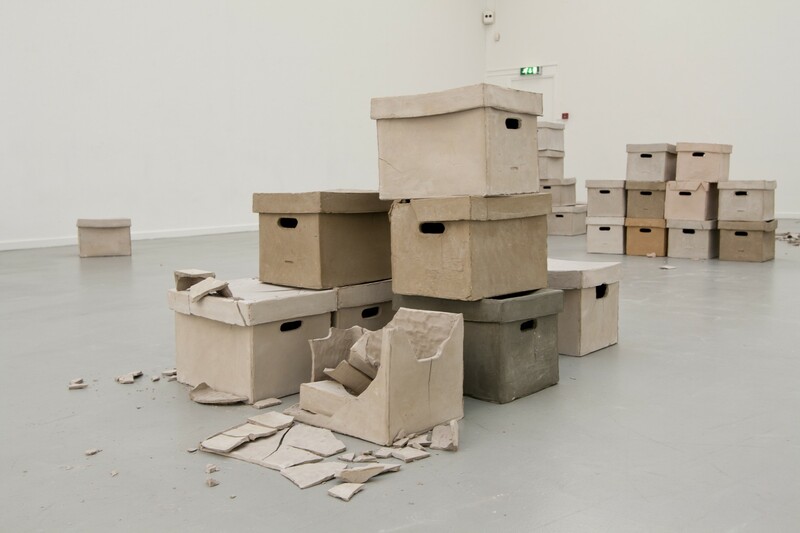 Dust to *dust reflect on the purpose of preservation and archiving through series of sensorial experiences in constant change.